Uehara Ai lucky package. Get one out of 6 random masturbators of her. Comes with a small pack of lotion. This was my very first onahole so take what I say with a grain of salt. First, the outer box looks great and you can't see it in images but it's actually holograhpic foil which looks really cool. Inside the box there was only the onahole and a small sachet of lube. 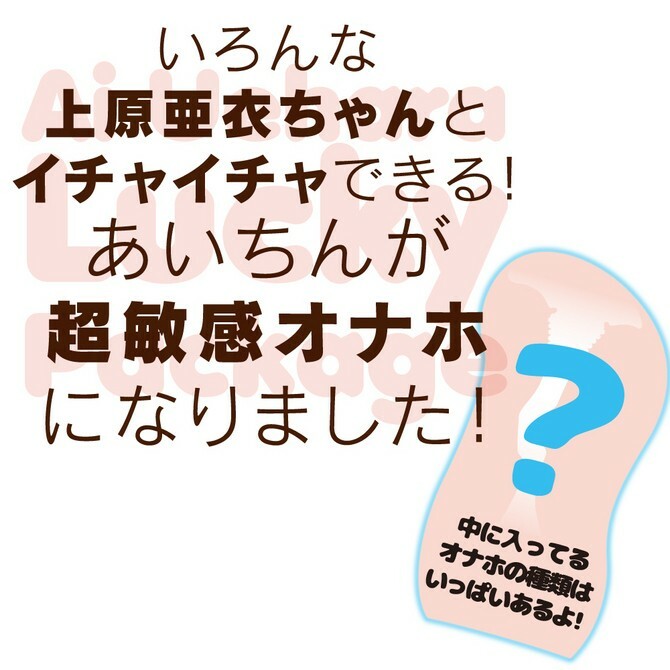 The description for this item states that it is a blindbox design and you get 1 of 6 (5?) designs based on different personalities. However, there is absolutely no indication of which you got and I can only find images of 2 other designs on the internet. The onahole I got was a simple design that looks like a standard onahole. It is a single layer, closed end design and the material is very soft but is not sticky. The outer lips are well defined and the inside consists of small bumps that go throughout the tunnel in a spiral until the end which has no texture. The length is roughly 14cm which is a little short for me but material quality is good and won't break easily. Durability is high and after more than 10 uses, the only difference is that it is a little more loose. Overall, very standard onahole with no noteworthy features. Assuming that you are okay with the blind box aspect then I recommend this if all you want is a simple, cheap onahole that has good durability.